120 archaeo – technicians and reenactors from all over Italy will perform beside Via Magna Grecia, near the Roman Forum at the Archaeological Park of Paestum. The archaeo – technicians will relive the ancient techniques of production and manufacturing of tools used by our progenitors, now treasured in the showcases of the archaeological museums, as a testament of the material culture that accompanied the evolution of mankind. The reenactors will stage scenes of everyday life with encampments, training, demonstrations of fights, rituals and field kitchens. The workshops reenact the anthropological and material culture of ancient times, by means of the reproduction of the techniques used to craft everyday tools. Experimental Archaeology is the scientific discipline that deals with the material and anthropological culture of our ancestors, with the trial of techinques, practics and the instruments of our predecessors in their everyday life. The Experimental Archaeologist is an artisan with specific knowledge of history, archaeology, archaeometry, materials and experience. By combining practical and theoretical skills, the experimental archaeologist’s objective is to reproduce the operational chains to obtain ancient objects and tools, to increase the understanding of way of life of our most ancient forebears. During the workshop, the typical relation established in traditional taught classes – a dynamic of subordination between teachers and participants,classes – changes. Everybody becomes a protagonist, an experimentator who makes hypothesis of reconstruction, who observes and analyses, who handles objects and tools, who applies, reinvents or reproduces, who reflects on results and errors through the stages of human cultural and social evolution. 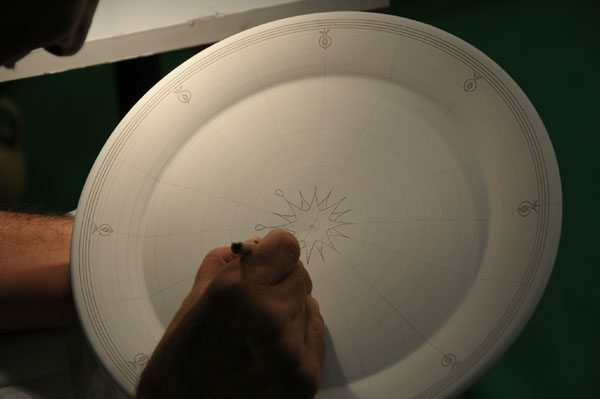 Differently from a museum, where the object can only be observed, during the workshop it is analyzed and reassembled, developing those manual skills which are not used anymore today, since all the tools we use every day are already defined. A material journey through the most ancient part of our history. All these activities, with their raw materials (stone, bone, tendons, skins, clay, metals) will be presented to the visitors, to experiment in first person these ancient jobs, which contributed to the evolution of mankind : from lytic technologies to bone and horn with the manufacturing of tools; the advent of clay, containers, idols, writing tablet; the refined technique of production of vases and their decorations in Greece, 500 years before Christ; the magic of metallurgy, instruments, techniques, myths and tools such as mastic tree oil to create everyday objects and jewels; glass past; the ignition of fire; prehistoric paintings; and also clay for Middle Ages architectural production. Ancient jewellery-making and of manufacturing of amber from Iron Age to Roman times. The activities will be about the realisation of a buckle with amber decorations, the manufacturing of the armilla (as the one found at Baelo Claudia) and the use of raw amber to create jewels. Main techniques of manufacturing of noble metals (fusion, chisel, repoussage, fretwork) and display of the techniques of finishing of the jewels). Ceramists since the XVI Century, the Vestita brothers will create clay objects, following crockery’s technical and stylistic canons from classica age to Middle Ages, and using ancient techniques with lathe and from Magna Graecia’s time, Middle Ages and Renaissance. The Association will present a practical-historical reenactment of gladiator games, of ancient heavy athletics and Roman army. 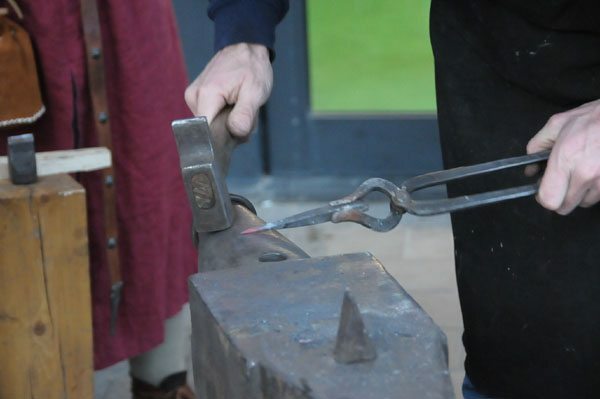 Experimental archaeology on metals (fusion of bronze and forging of iron) and on ceramics of the Iron Age. Experimental reconstruction of tools and didactic demonstrations on Italic civilisations. Manufacturing of jewels and necklaces inspired by ancient jewellery, mostly by the Etruscan and Roman ones, using original ancient techniques like granulation, filigree, repoussage, enamel, niello. 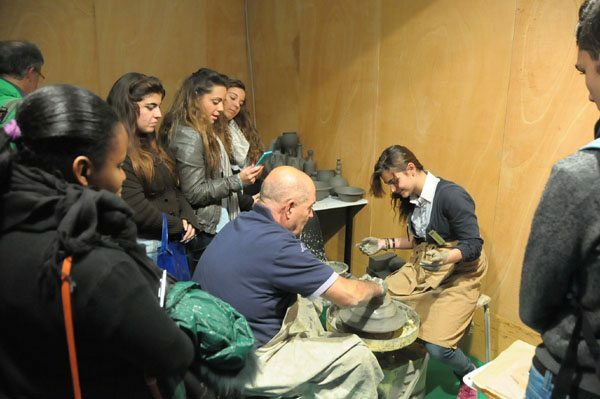 Didactic activities on the manufacturing of leather and shoes, with recreation of shoes of Greek, Etruscan, Roman and Byzantine period. Presentation of the Roman army, reenactment of marches and of the use of armors and artillery. The Cultural Association will also show the millenial history of sailing and many features of ancient Rome: cooking, medical science, cosmetics, toys, writing, colors and scientific instruments. He is ceramist, with great expertise in the realisation and reproduction of Roman and Greek oil lamps, plates and toys. 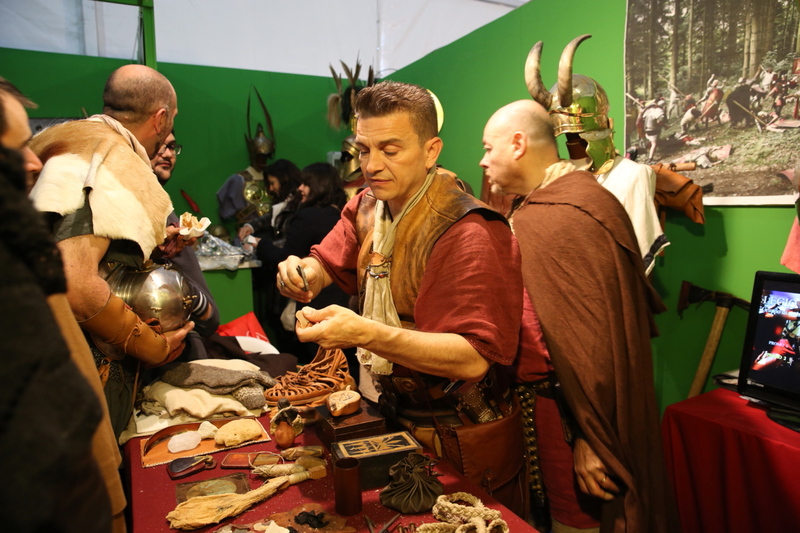 The Association will present the “Cardium: la vita nella preistoria” project, based on the reconstruction of daily life of prehistorical men in all its aspects. Reenactment, in theatrical form, of the life in the encampment of a prehistorical tribe, with its ancient jobs: weaving, manufacturing of bone, clay, flint, natural fibers and the ancient grindstone of seeds and the lighting of fire.